Although less well-known than fellow members of the Takoma Park, Maryland, Guitar Gang (e.g., John Fahey), southpaw James W. Lane is an incredibly inventive guitarist, who delights in combining classical with modern to create his unique "Upside Down" guitar melodies. 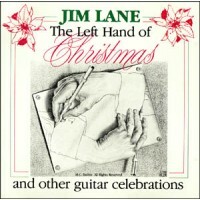 "The left-handed technique was born in ignorance, maintained in stubbornness, and now exists for no particular reason whatsoever," says Lane, although we believe his style is both joyful and delicate--a surprising result from a bear of a man who can build your great room addition to the satisfaction of the local code inspectors. 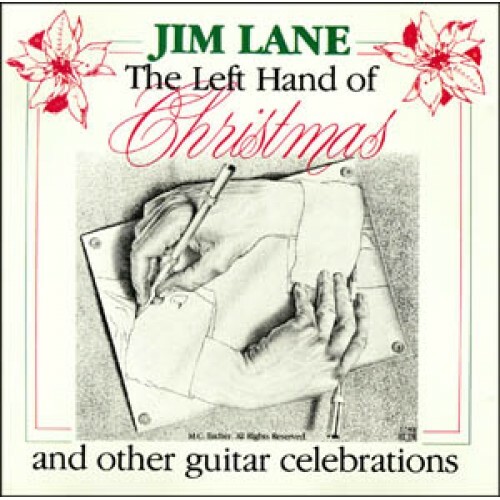 If your looking for an unusual addition to the family's holiday music collection or if your enthusiasm for guitar artistry is unlimited (and open-minded), Jim Lane offers a gem with "The Left Hand of Christmas."